We are conducting a trial of a 30km/h area-wide speed limit in the northern areas of Fitzroy and Collingwood. The trial period is late September 2018 until late September 2019. The trial area is the neighbourhood streets bounded by Alexandra Parade, Johnston Street, Hoddle Street and Nicholson Street (excluding Brunswick Street and Smith street). We’re committed to reducing speeds in our streets, because we know it creates livelier, safer, healthier streets we can all enjoy, whether we’re walking, driving or riding. The trial is about testing a new approach to achieving safer speeds in our community. If it works here, it can be applied to other areas in Melbourne, Victoria and Australia. We believe we can encourage people to travel at safer speeds through community understanding, acknowledgement and action. That we, together, can assess the evidence, see the value, and achieve real change. The alternative? A traditional model of forcing change through infrastructure like speed bumps. That costs money – a significant amount of your money – and we believe that can be avoided. This means reaching many more communities for the equivalent cost of engineered solutions. In 2017, when we asked residents what they thought about 30km/h speed limits, opinions were divided. A little more than half of the people surveyed opposed 30km/h. They were concerned it will be too slow, that it was unnecessary and wouldn’t improve safety, and that it was revenue-raising for the Council. Those who supported 30km/h said they believed the change would improve safety, be great for the community, reduce traffic and be good for kids. Elsewhere in the world, community support for 30km/h limits has always increased after implementation. We heard these views and acknowledge the concerns. We have worked to respond to questions and issues raised, and will continue to do so. Check out our 30km/h myths and trial FAQs to see. 30km/h is about improving safety and amenity for pedestrians and cyclists, who are over-represented in our crash statistics. 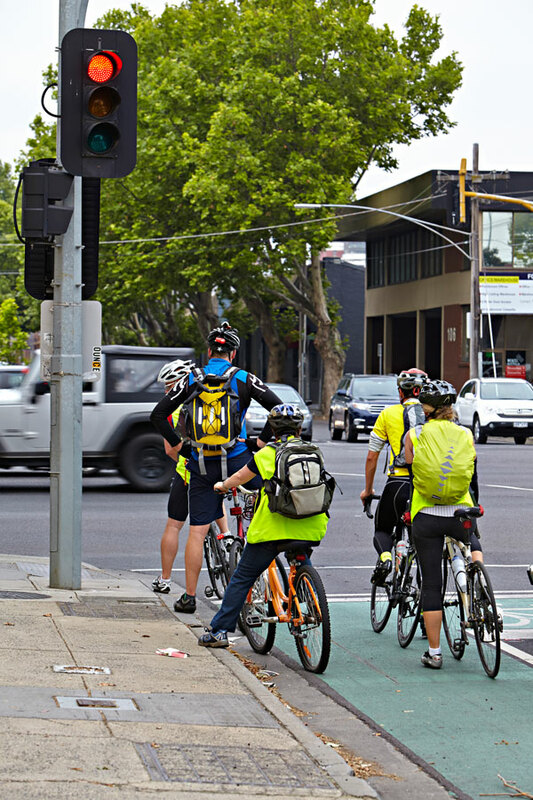 Ninety per cent of crash incidents in the trial area involved pedestrians, cyclists or motorbike riders, and this trend is reflected across Yarra. We understand people have questions about the trial – about why we’re doing it, how it will be evaluated, and why we need a trial at all. Take a look at our responses to some of the community’s frequently asked questions. Where is the trial taking place? The trial area is the neighbourhood streets bounded by Alexandra Parade, Johnston Street, Hoddle Street and Nicholson Street (excluding Brunswick Street and Smith Street). How much will the trial cost, and who is funding it? The trial will cost $261,500. Council has contributed $25,000 and the remaining amount is being funded by the Transport Accident Commission (TAC). This funding is being used to undertake the trial evaluation and engagement with the community. The evaluation will provide valuable information on the effectiveness of the trial, and assist in decision-making about 30km/h speed limits in Yarra and elsewhere. We are not implementing this trial lightly. It’s an investment we’re proud of. If we can lessen serious crashes and in doing so make people feel safer, promote activity and foster a neighbourhood where people are enjoying our streets – we think it’s worth the investment. Why has this area been chosen? Is there a particular speeding problem or safety issue there? We have to start somewhere. The trial area has some areas where drivers are already travelling at lower speeds and others where they are not. The area also has a variety of residential and other uses and a variety of different road users, so it makes a good test case. Since 2012, there have been more than 100 crashes in the trial area, resulting in more than 30 serious injuries – ninety percent of these crashes involved pedestrians, cyclists and motorcycle riders. There’s some improvement to be made here. Was the community consulted about this change? We conducted research about attitudes to 30km/h speed limits in May 2017, and we received input from many people in the local and broader communities. Most people had an opinion, either for or against. We know this is a bold idea that not everyone agrees with. But this isn’t a project we have decided to do on a whim – it’s taken a lot of research, planning and thought. We know the evidence is there, and that other communities support it, so we think it is worth testing. We always welcome feedback and you can leave comments or questions on our Get Involved page, or you can join the conversation on Facebook. If all the research is showing us that 30km/h is the safer speed, why don’t we just implement it now? Why do we need a trial? It’s true that extensive research shows us that 30km/h will be good for the community. The trial is about testing a new way of implementing a new speed limit – through community acknowledgement and commitment, rather than costly infrastructure. Plus, this hasn’t been done in Australia before, and we need to test the water. If it’s successful, the trial will demonstrate a more cost-effective way for communities to make their streets safer and more welcoming. Will the speed limit be enforced? The speed limit can be enforced just like speed limits everywhere, and Victoria Police will enforce as they see necessary. Whether or not it is enforced will depend on drivers’ compliance with the new limit. However, this trial isn’t about enforcement. The police can’t be everywhere at once to make sure everyone is following the rules and doing the right thing. Instead, we want to work with the community to create streets we can all use and enjoy, rather than speed through. Isn’t this just a revenue raising exercise for the Council? Yarra City Council does not receive money from speeding fines. And the priority with this trial is not to issue fines. Instead we want to bring about change by communicating the safety and social benefits of travelling at lower speeds to the community. Council is committed to projects that increase the safety and liveability of our community. We’re doing this trial because it’s an innovative, Australian-first way to achieve just that. What’s next, banning cars altogether? Neither the Council, nor the trial, is against cars on our streets. Rather, we’re pro people being able to go about their lives in our public spaces safely, however they choose to travel. At Yarra, we promote walking, cycling and using public transport, as sustainable modes of transport, but this trial isn’t about discouraging people from driving it’s about making the streets safer for everyone. We don’t know yet – it depends on what we find along the way. The data we collect, and the feedback we gather will help to inform decisions about what will happen next. How will I know when I’m on a 30km/h street? The 30 km/h area is signed just like every other local area, with 30 AREA signs. You will also see ‘Thanks for 30’ signs in the trial area as an extra prompt.